We like to think we’re rational creatures. But as Robert A. Heinlein once put it, “Man is not a rational animal, he is a rationalizing animal.” Emotions drive the decisions we make in more ways than we like to think, and play a far greater role in decision making than reason. All of that suggests that emotional marketing has to be more effective than purely rational campaigns. But before we move on to look at the emotions that have been proven to work in ads, campaigns, and long-term marketing strategies, let’s first look at how emotional persuasion works, and which goals it can help you achieve. 1. Get attention. In an ideal world, when people are looking at your ad or reading your article, they pay attention. But the year 2017 is not an ideal world; it's an era of severe attention deficit. As you are reading this, you’re probably not only thinking about dozens of other things (that email you have to write, your grocery shopping list, the upcoming vacation, the Volkswagen guy who cut you off), but actually processing tons of information from other sources, at least intermittently. Your phone's probably blinking with notifications now and then, you check your email a few times, perhaps make a call or two. You're not paying attention, and that's fine. That's what people do in 2017. 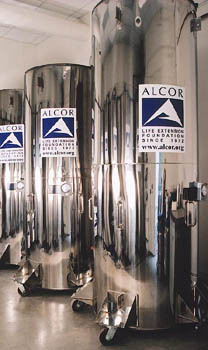 But consider this: today, there are over 300 people hanging in containers immersed in liquid nitrogen in cryonics facilities. They are technically dead, but may be well alive some day when technology reaches the point when it can revive them. Now, I hope that made you focus a tad more on what you're reading. And that could be because you felt two things: awe and surprise (more on that later). Multiple studies have found that emotions act like a selective filter that is tuned to assign a certain amount of attention to incoming material. Even things as seemingly insignificant as using emotionally powered words can make a big difference in getting people to listen. 2. Encourage a positive perception of the brand. Just because it evokes a certain emotion, a marketing message is likely to be judged more positively. People's judgments are automatically influenced by how they are feeling at the moment – that is, if you managed to evoke a positive emotion with your content or ad, your audience is likely to build a subconscious positive association with your brand without even being aware of it. This phenomenon, too, has been studied extensively. One study examined the relationship between emotional ads and brands (as well as non-emotional ads and brands). It found a highly significant positive relationship between emotional ad content and a favorability shift in the respondents’ perception of the brand. The relationship between cerebral (non-emotional) content and the fav-shift was insignificant. 3. Encourage people to spread the word about your content. Obviously, you want your content (be it an ad, a landing page, or a blog post) to reach as many people as possible. I assume you also want that for as cheap as possible. So ideally, you want to encourage the people that do see your content to share it around on social media and tell their friends about it. Apparently, emotional content contributes to that greatly. A University of Pennsylvania study looked at over 7,500 New York Times articles over a period of over 6 months to find which ones get shared via email most. They found that emotional stories were the most likely to be emailed. Perhaps most of all, readers wanted to share articles that inspired awe. Overall, the researchers found, 20% of articles that appeared on the Times home page made the list, but the rate rose to 30% for emotional, awe-inspiring articles. Additionally, emotional messages are also remembered better, and this correlation is especially strong for long-term brand awareness. One study found that while slightly more people will remember the brand immediately after seeing an emotional ad (compared to those who have seen a non-emotional one), significantly more people will remember a brand a few weeks or months later if the ad they saw was emotional. 4. Trigger desired action. Emotions play a massive part in decision making, especially in constrained time frames. When making decisions, our rational minds are ‘hard-wired’ via emotions; this means that feelings are capable of impeding cognition and even driving decisions in the face of negative cognition. Antonio Damasio's somatic marker hypothesis explains this nicely: over time, humans begin to associate emotions with particular situations and outcomes. A negative somatic marker associated with a certain unpleasant situation acts as a disincentive, but "when a positive somatic marker is juxtaposed … it becomes a beacon of incentive." This implies that you should aim at appealing to emotions that people associate with positive experiences if you want them to complete a certain action. Multiple studies have shown that emotional content isn't just likable or attention-grabbing; it also drives higher conversion rates. A study by the Institute of Practitioners in Advertising showed that advertisements with highly emotional content generated twice the profit of ads based on rational content (31% and 16% respectively). According to the 2016 Nielson report, emotions are central to the effectiveness of marketing campaigns, and ads that generated a higher-than-average emotional response resulted in a 23% lift in sales volume. Let’s move on to see which emotions exactly are most effective in marketing, and how brands are using them to appeal to audiences. I know, “aww” isn’t really an emotion. But there’s literally no other word for the kind of thing you feel when you see a cute lil' puppy. The kind that makes you think maybe the world isn’t such a doomed place after all. The irresistible Puppyhood video from Purina and BuzzFeed (which doesn't feel like an ad at all) has received over 10 million views on YouTube. It’s the story of a single man adopting a puppy - but it's much more than that. It's a highly emotional, appealing narrative that makes you go "aww". Not just because of the puppy, but because of the story itself. Yup, puppies and kittens are the absolute champions of the genre. I know, you're probably not a non-profit organization whose sole purpose is dealing with the world's burning problems. But it doesn't mean that you can't learn from these guys. The disturbing, not-commonly-spoken-about things about the world make people pay attention. Often, they also make you feel like a bad person for not having made a tiniest effort to solve those problems. The next thing you know you're giving your money to someone who is trying to save wild salmon populations in Alaska. Takeaway: try drawing attention to a sensitive topic that you feel like speaking out on. It doesn't take being a non-profit to do that; everyone can draw attention to an issue by creating a persuasive campaign about something that resonates with your audience, and a hashtag to go with it. Awe is the kind of "the world's so big and there are magical things going on in it" feeling that you get when you learn something new and exciting. Awe was the winning emotion in the New York Times study I mentioned earlier, with scientific articles at the top of the list. Awe must also be the reason for the wild popularity of the Wait But Why blog - an entire website explaining complex scientific things in simple, exciting ways. Of course, the secret behind the appeal of popular science partly lies in the fact that it makes us feel smart - and look smart in the eyes of others when we share it. But there are also awe-inspiring stories that neither are scientific nor make you feel smart. Google's particularly good at this - they took an almost humdrum product that thousands of people use everyday (Google Maps) and told a story about its life-saving power. Google's other video, about their new prototype of a driver-less car was definitely awe-inspiring, honest, and emotional. Granted, it's about a new, revolutionary, high-tech product; but the video is beautifully down-to-earth with real people excitedly trying the car out. Surprisingly, the down-to-earthness is just as awe-inspiring as the product itself. In the New York Times study, surprising articles (like one about free-range chickens on the streets of New York) came second after the awe-inspiring ones in terms of shareability - which was hardly a surprising discovery, of course. 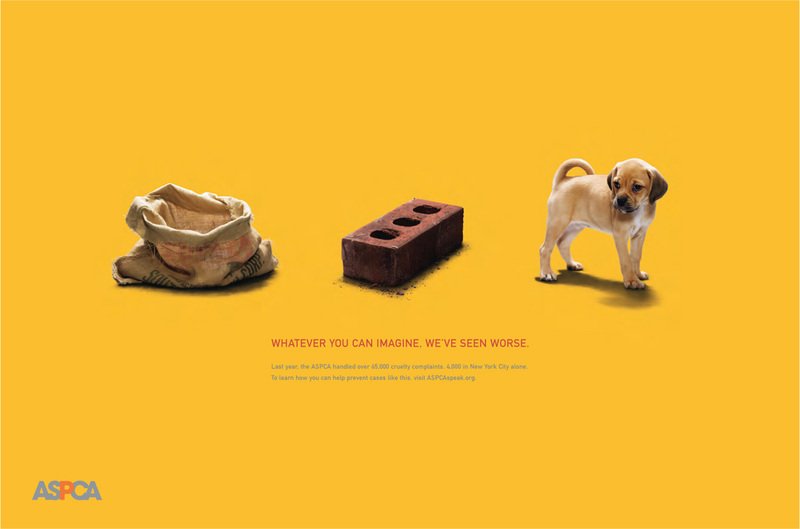 Surprising campaigns can be senseless, ridiculous, or simply unexpected - but they have to be smart and done well. As Mark Duffy puts it, "What’s the difference between a smart senseless commercial and a stupid senseless commercial? It’s just one thing: whether or not the agency/brand has respected the intelligence of the viewer. This is, of course, a rule (yes, there are rules in creating good advertising) that should be followed for all ads." Take the Geico octopus video. I won't tell you what it's about (because I honestly can't) - just watch it. In the New York Times study, the Penn researchers found evidence of readers’ willingness to share articles that inspire anxiety. 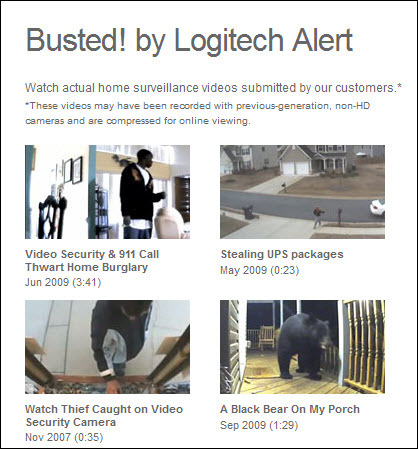 Fear has long been the driving force behind advertising in more ways than the public suspects. Not only do marketers play on our anxieties (both conscious and unconscious), sometimes they also artificially manufacture them. Listerine’s campaigns in the 1920s focused on bad breath. From a common minor flaw, they turned it into halitosis, a medical-sounding thing that made you a lonely, unsexy outlier, disliked by your own children. The campaign was so effective that Listerine’s revenues rose from $115,000 to more than $8 million in just seven years. People like to feel valued, important, and necessary, and you can (and should) encourage this feeling in your audience - with your marketing, branding, and beyond. The results? 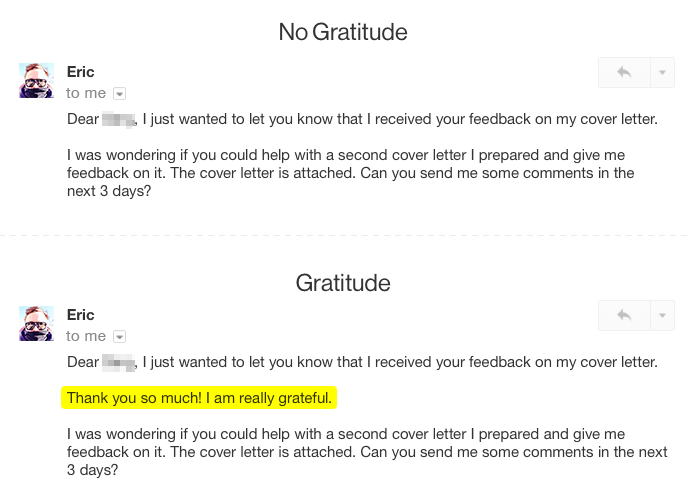 32% of the “No Gratitude” group provided feedback on the second cover letter. 66% of the “Gratitude” group⁠ (more than double⁠!) sent the feedback. In whatever you do on behalf of your company - be it talking to a customer, writing an email to a partner, or putting together an ad campaign, remember to always remind your audience they are valued, important, and unique. I do hope that by now, we can be positive that emotions work in marketing. Before we go, let me give you two tiny extra pieces of advice for your emotional campaigns to be even more effective. 1. Repeat it. Studies not only show a strong link between emotion and perception of brands; they show an even stronger link between repeated emotional campaigns and the audience's awareness of and loyalty towards brands. In the 1995 study by D’Sousa & Rao, who exposed subjects to repeated emotional radio ads in a divided attention situation, researchers found evidence of ‘small but significant’ increases in top-of-mind brand awareness, predicted brand share, and brand choice, resulting from increased repetition. 2. Mix it up. All of the emotions above work best in combination. As Dr. Berger, one of the researchers from the New York Times study, put it, “If I went into my classroom dressed up like a pirate, that would be surprising, but it wouldn’t be awe-inspiring. An article about square watermelons is surprising, but it doesn’t inspire that awed feeling that the world is a broad place and I’m so small.” Do your best to combine emotions in new, unexpected ways - a photo of a kitten in your post probably won’t cut it just because it's there, in spite of the fact that it's cute. So you've got to make sure it employs some other kind of emotion – say, that it’s funny, awe-inspiring, or at least surprising. Or, better yet, not a kitten. I do think they’ve had their time. 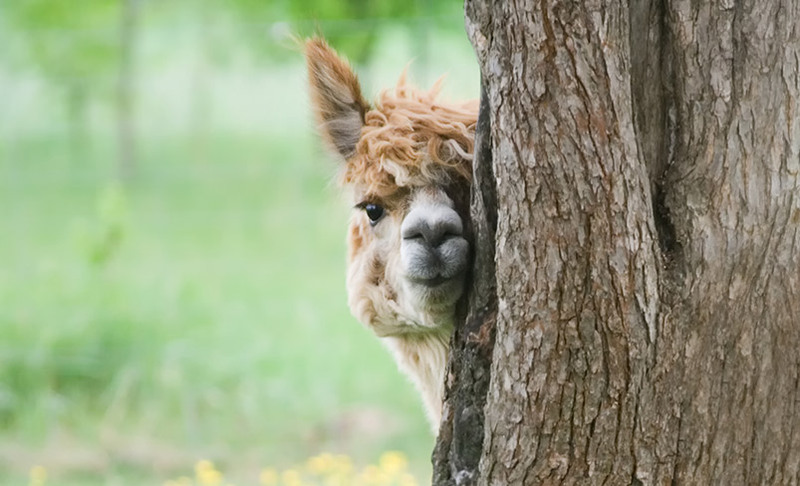 And the alpaca hasn't, y’know.